The "Legacy C2 Fitzgerald Elite Pillow Top" is a thick, sturdy and soft pillow top mattress by Corsicana Bedding. It combines many elements that contribute to support and longevity but keeps a lofty, soft feel. New for 2018, this bed is a high-quality luxury model with a discounted price tag. Gel-infused Memory Foam is the industry standard when it comes to offering the contouring body support while simultaneously keeping body heat down. Super Soft Foam adds some softness to that pressure point-relieving quality. A foam encased perimeter reduces motion transfer and provides edge support. Corsicana's new Platinumrest Pocket Springs contour to each person perfectly, delivering personalized support. This is an exciting addition to our current offerings and truly is an 'Elite' offering, for its price point. This is a high-end luxury mattress that is offered at a midrange cost. It's 15 inches thick - its every layer contributing to its overall comfort level. Corsicana has definitely upped the ante with the luxury models that they've introduced for 2018. Their focus on overall quality and comfort is quite apparent as soon as you lie on a model like the "Fitzgerald Pillow Top". 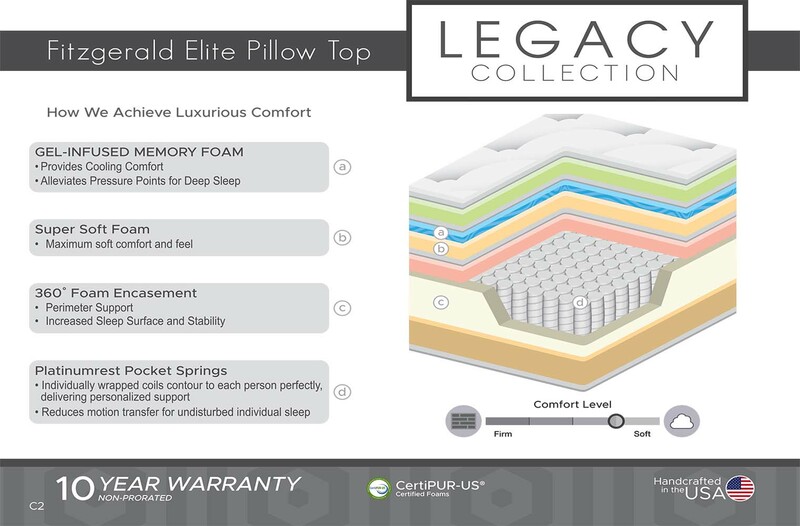 It's an added value that they've made this model affordable and I've got to say that, in its relative price range, the "Legacy Fitzgerald Elite Pillow Top" stands out as one of the best mattress models available. It's the best of both worlds when the Fitzgerald combines the sturdiness that comes with heavy duty foam encasement and Super Soft Foam. 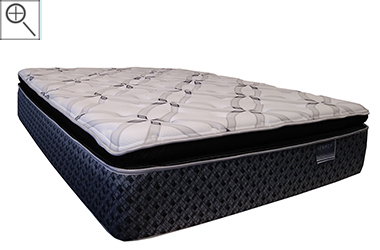 Additionally, the Platinumrest Pocket Springs provide both support and body contouring softness. Gel-Infused Memory Foam helps to keep your sleeping temperature neutral and gives a bit more cushioning, as well. 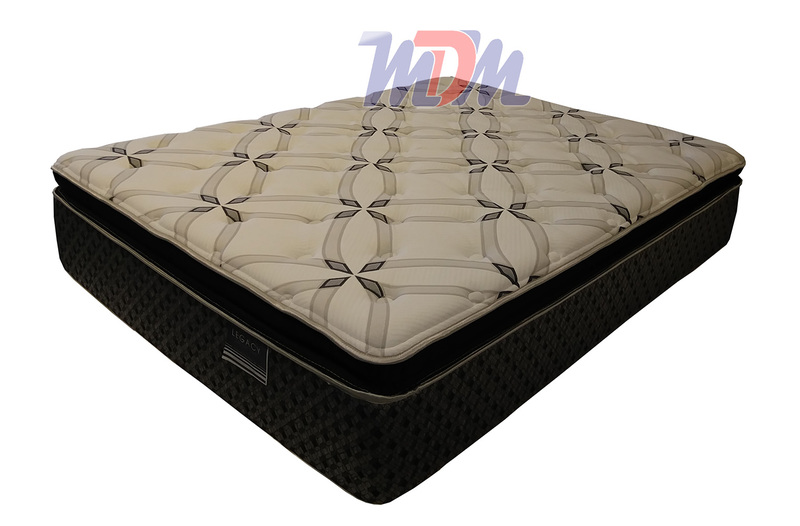 This is a mattress that has all of the feel, the stylish cover, the long-term durability and the state-of-the-art features that a luxury, high-cost mattress has. The price on this one is decreased but the craftsmanship or materials definitely aren't!